The 51st edition of the Peach Bowl will be a part of the College Football Playoff New Year’s Six Bowl games, and it will see the clash between the Big Ten Michigan Wolverines and the SEC Florida Gators. The Wolverines are listed as 6.5-point favorites with the total at 51.0 points and the Gators at +220 money line odds. The Michigan Wolverines (10-2; 6-6 ATS) have ended their regular season with a terrible 62-39 defeat at the Ohio State Buckeyes that put an end to their ten-game winning streak. The Wolverines made a terrific run after a 24-17 loss at Notre Dame at the start of the season, and this will be their chance to end the year on a high note. 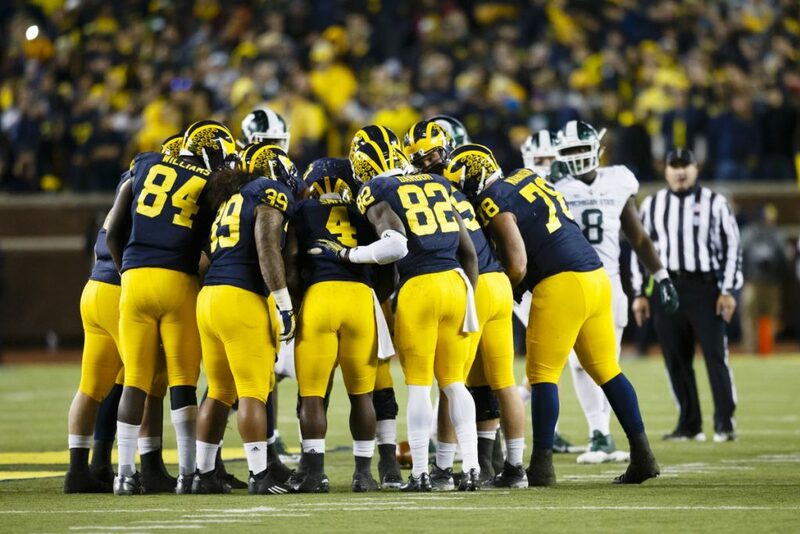 However, the Wolverines will miss at least three starters who have decided to skip the bowl and begin preparations for the 2019 NFL Draft. The running back Karan Higdon, defensive end Rashan Gary, and linebacker Devin Bush will all sit the 2018 Peach Bowl which could be a huge blow for the Wolverines. Without Karan Higdon in the backfield, Chris Evans and Tru Wilson will have to step up, and these two guys combined for 758 rushing yards and five touchdowns this season, while Higdon had 1178 yards and 10 touchdowns. The QB Shea Patterson has decided to return for his senior year at Michigan, so he should have a strong motive to win this game. Patterson has thrown for 2364 yards, 21 touchdowns, and five interceptions, completing 65.1% of his passes. Donovan Peoples-Jones is leading the receiving corps with 39 catches for 541 yards and seven touchdowns, Nico Collins added 33 receptions for 552 yards and six TD, while tight end Zach Gentry had 30 receptions for 475 yards and a couple of touchdowns. Michigan is scoring 36.8 points (20th in the country) on 427.2 total yards per game (42nd), allowing 17.6 points in a return (12th) on 262.5 total yards per contest (1st). The Florida Gators (9-3; 8-4 ATS) will enter the Peach Bowl with all their draft-eligible players active, and the head coach Dan Mullen has no doubts that the benefit of playing in the game like this one is huge. The Gators have finished their regular season with three consecutive victories including a 41-14 thrashing of Florida State, and they are excited about an opportunity to face off against the Wolverines after missing the last year’s bowl season. Florida has won two of its last four bowl games, and this will be a chance for a payoff after losing a 2015 Citrus Bowl to Michigan 41-7. Feleipe Franks is leading the way for the Gators, and the sophomore QB has thrown for 2284 yards, 23 touchdowns, and six interceptions, completing 58.5% of his passes, while he’s also added 96 carries for 276 yards and six touchdowns. Lamical Perine and Jordan Scarlett will lead the backfield, and these two guys have combined for 1467 rushing yards and 10 touchdowns. The junior Van Jefferson is leading the receiving corps with 31 catches for 439 yards and six touchdowns. The Gators are scoring 34.5 points (32nd in the country) on 426.8 total yards per contest (44th), while allowing 20.4 points in a return (21st) on 339.8 total yards per game (26th). This should be a tough battle on the ground between two defensive-minded teams, so I don’t expect to see a blowout, especially because the Wolverines will be without some very important guys on both sides of the ball. Karan Higdon was their key player out of the backfield, while Rashan Gary and Devin Bush both were main players on their defensive line, so the Wolverines will have to find the way to replace them in a short term. This should be a chance for the Gators whose offense had some great games this season, and if the defense puts on a strong performance, I think they could stay close on this one. We’ll see two teams that rely on sturdy defenses, and considering all the stats, we shouldn’t get a bunch of points on this one. There is a solid attacking potential on both sides, but the key factor should be on the defensive side of the ball. Likewise, both these teams like to run as much as they can which should eat the clock, so I’ll take the under.